Looking at the powerpoint Beth so kindly uploaded to Google doc, I see I missed the following challenges. Some of them I don’t know how to do as I write this – let us see if I can figure it out without the benefit (and significant time saver) of my peers. If I don’t get your challenge right, please comment on the blog or email me to let me know! So you went crazy and downloaded all the apps Beth put on her google doc. The trouble is, you’re not sure whether you put the NASA app in Science or in the Folder you named “The Coolest stuff ever”. What to do? 3. Click on App and voilà! 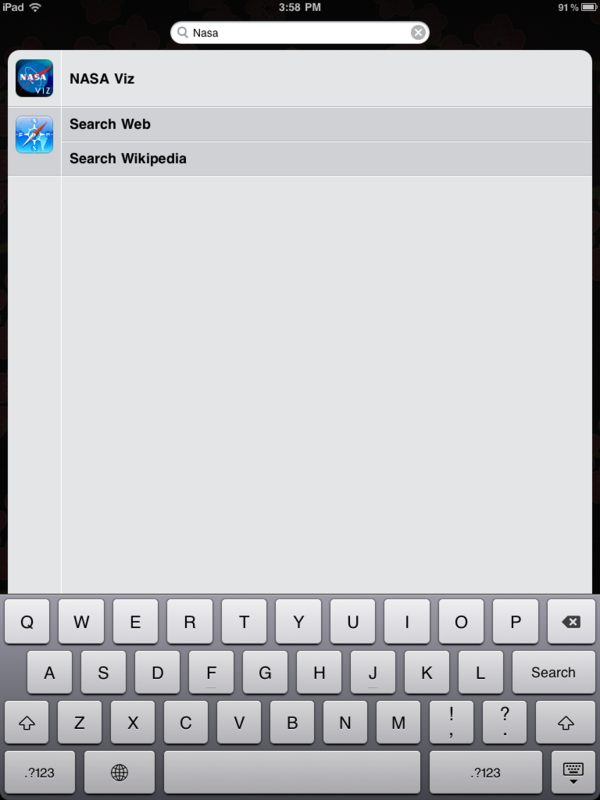 The app opens up automatically. 3. Slide the scale to where you want it. 4. 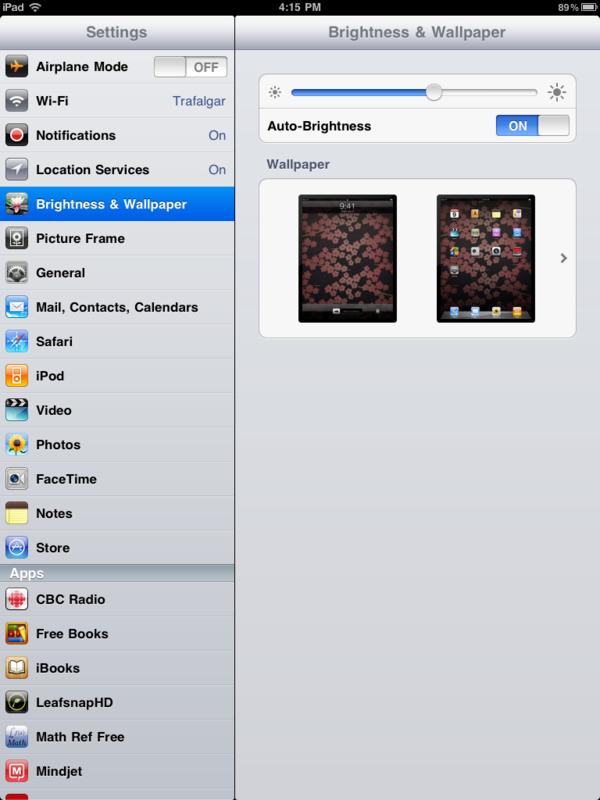 Auto-Brightness: adjusts the brightness to your screen depending on how much light there is. If you don’t want this function. Tap off. 1. 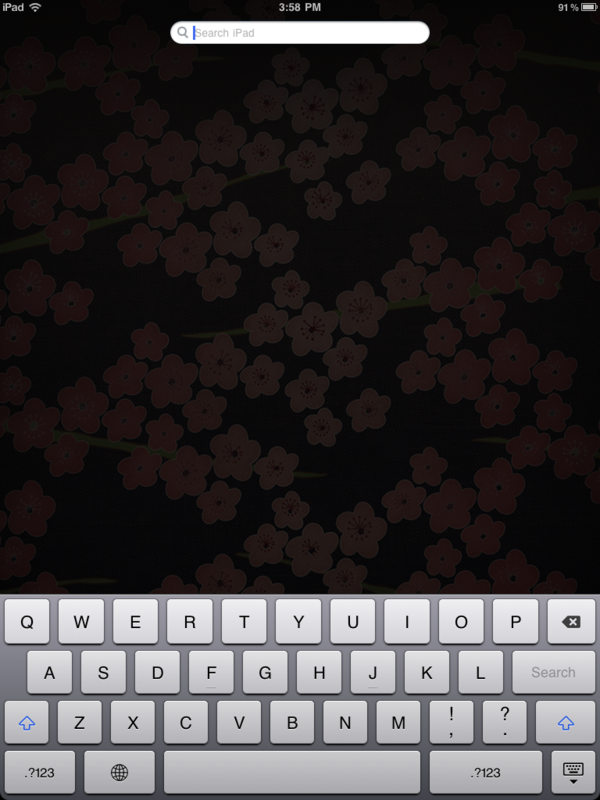 The volume for your ipad can be controlled on the right hand side of your ipad (assuming your ipad is in the vertical position with the center button at the bottom). Press the top down to make it louder and the bottom down to make it softer. 1. Go to , yes, you guessed it. Settings. 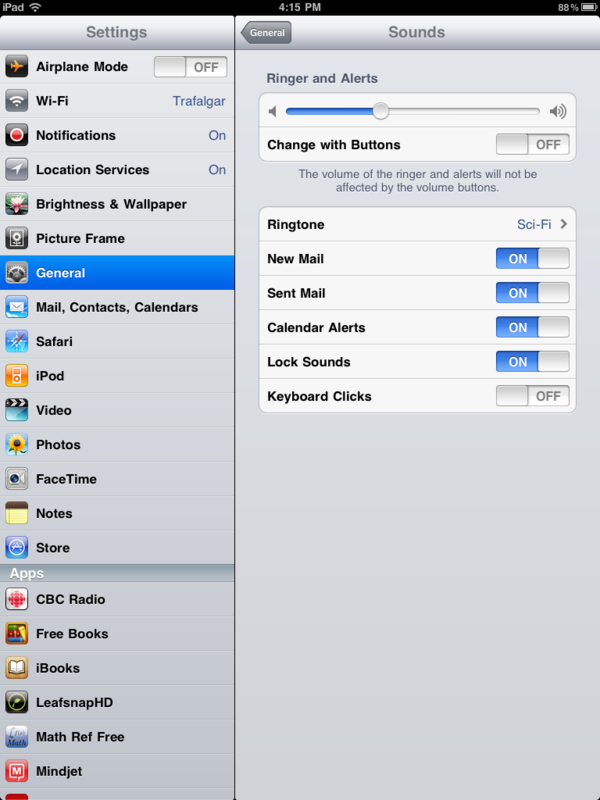 Here you can control the volume of your ringer and alerts as well as choose your ringtone, etc. 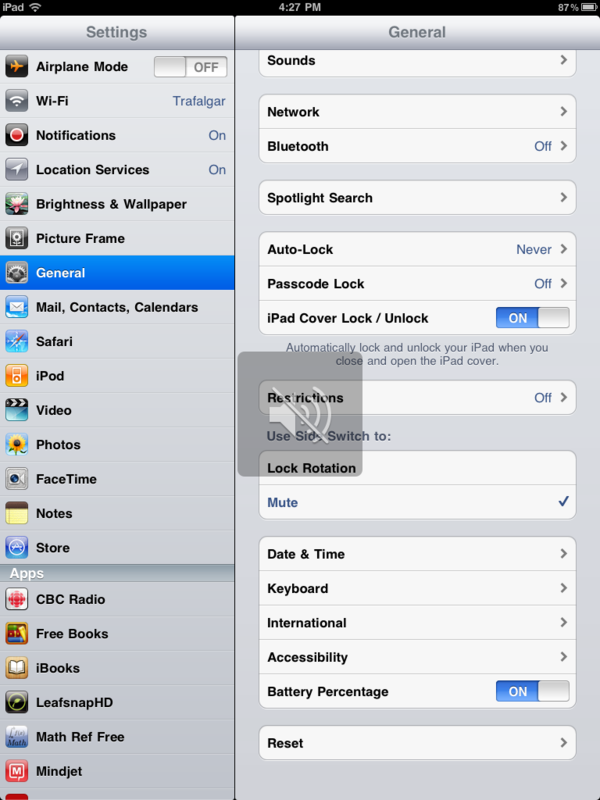 and then click on the Mute option, you can mute or unmute the whole ipad easily by just using the side switch. Is it making you sea sick, the way the ipad keeps on switching from horizontal to vertical? You have the option of locking the screen. Settings–> Use side switch to: –> Lock Rotation. The rotation is now locked. But this also allows you to now to lock or unlock it via the side switch without settings! 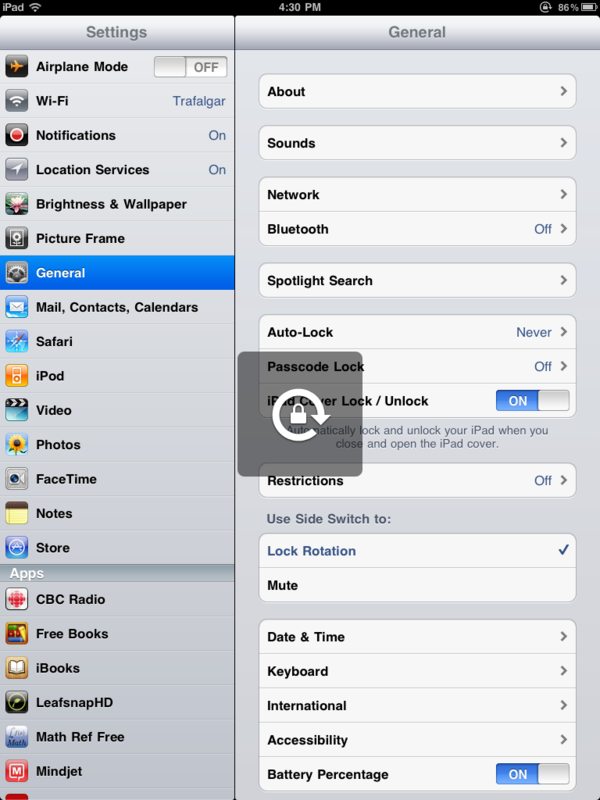 Of course, if you turn the Lock Rotation option on, you can no longer control the mute option with the side switch. It’s one or the other my friends, one or the other. Take Notes in …(I don’t know! There was a blank in his presentation!) while watching a movie in another. But I will find out if it kills me.